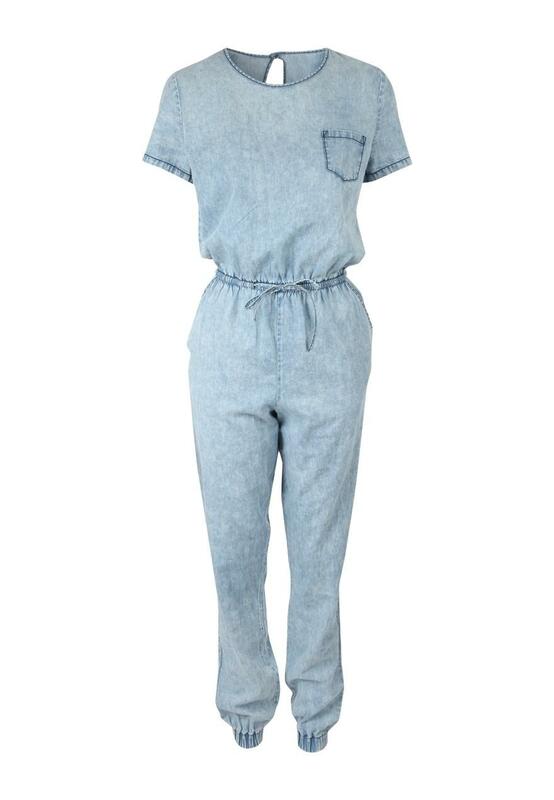 Get the denim look in this womens denim jumpsuit. Its light weight material paired with its loose fit and drawstring waist make it extremely comfortable. 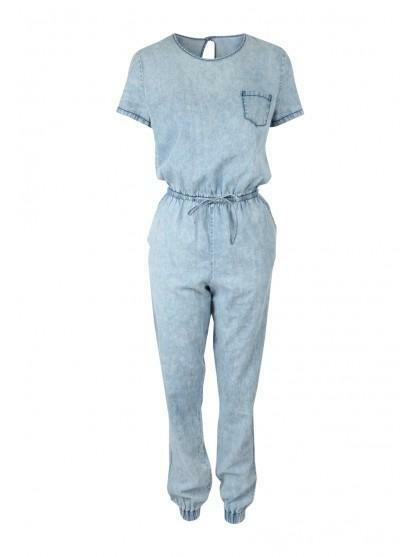 Plus, its short sleeves and pocket detail add a nice touch to this denim washed jumpsuit. Wear with a pair of flats and cardigan for the day, or dress up with a statement necklace and heels for the evening.